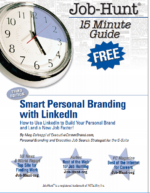 Before you pass on reading this seemingly self-serving series of posts − after all, I’m an executive resume and LinkedIn profile writer-strategist myself and, if we’re a good fit to work together, I hope you’ll hire me − I will make you a promise. If you continue, you’ll be much better able to assess and select the best executive resume writer . . . and LinkedIn profile writer . . . and biography writer . . . for you. Did you land on this blogsite after doing a Google or LinkedIn search on “executive resumes”, “executive resume writer”, “LinkedIn profile writer” or something similar? Google probably hit you with a mind-boggling list of at least 20 million search results for “executive resume writer”. In a competitive executive job market, it’s more important than ever to be armed with an executive resume and LinkedIn profile that brand and truly differentiate you from others vying for the same jobs. Highly-targeted, brand-reinforcing job search content can make all the difference in gaining interviews with your target employers, pre-qualifying you for top compensation and landing you faster in your next gig. More and more online resume and LinkedIn writing services are cropping up to meet increased demand. Job seekers have a real dilemma sifting through the sea of choices and figuring out who to work with. It’s confounding, to say the least. How are you supposed to know which ones are legitimate and where you’ll get the best value for your investment? Should you speed the process by buying a “write your own” template at a cut-rate cost? I don’t advise it. You’ll probably end up frustrated and out a chunk of money that could have been invested in working with a superior provider. It’s a rare executive who knows how to write a standout resume and LinkedIn profile for today’s job market. Please note as you read this 3-part series that, when I say “executive resume” and “executive resume writing”, I’m also referring to LinkedIn profile creation and writing, biographies and really any job search and personal marketing content writing. Executive resume and LinkedIn profile writers get a lot of bad press. People can be distrustful of us and perhaps with good reason. So much misinformation about what we do (or don’t do) is floating around out there by people who make sweeping generalizations about us as a group, but don’t really know what we do . . . and how much we help job seekers. 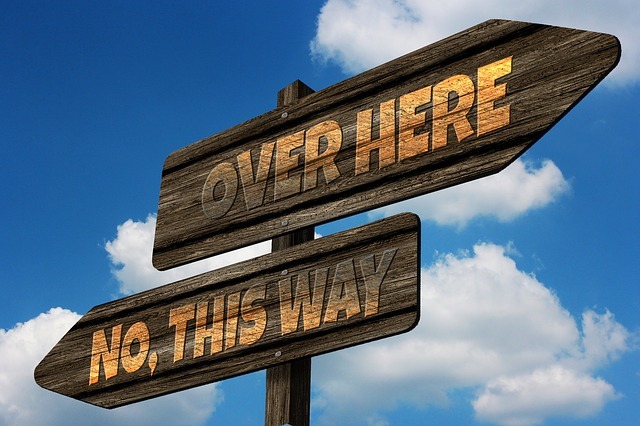 I see a growing number of blog posts and articles warning that professional resume writers are swindlers and resume writing credentials mean nothing. They lambaste us in general and place an arbitrary cap on what job seekers should pay for resumes and job search services. Surprisingly, some people still don’t realize we exist as a profession – that there even is such a thing as a professional resume writer. Ever since the Professional Association of Resume Writers (PARW) – our first professional association – began about 25 years ago, we’ve been sharing and learning best practices from each other, and offering clients the best strategies to accelerate their job search. And too many job seekers have had terrible experiences with resume writing services. 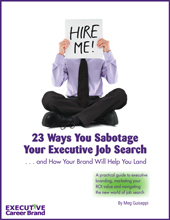 I’ve done damage control for countless executives who paid top dollar for mediocre-at-best resumes. Some executive job boards add fuel to the fire. Toss in the behind the scenes battle between executive resume writers and some very well-known job boards, whose resume critiquing practices routinely trash the resumes created by some of the country’s best writers, without even reading them – all as a tactic to sell their own resume writing services. Fact is, there are indeed thousands of fly-by-night, disreputable resume services ready to take advantage and fleece unsuspecting, bewildered executive job seekers. But there are also many highly skilled, dedicated practitioners whose services have a profound impact on their clients’ success. Some background about resume writing credentials. 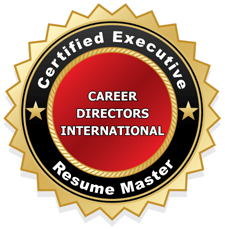 A number of reputable career professional associations offer certifications. Credentialing from these organizations typically demonstrates a higher level of experience than those without, and indicates that the writer stays current with industry trends, honing skills and communicating regularly with others in the industry through e-list conversations, conferences, webinars, teleseminars, etc. Some of the executive resume writing credentialing processes are extremely grueling and require several years’ professional experience before they can even be attempted, so they weed out incompetents. Also, beware that there are plenty of phony resume writing credentials. More about careers industry professional associations in Part 2 of this series. The true value in working with a professional. 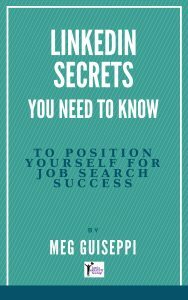 Ask their clients the right questions to uncover the compelling information that defines their career distinction. Help their clients prepare for job search with information-mining exercises that give them deep insight into their target employers’ needs and what makes them a mutual good-fit. Brand and differentiate their clients’ unique promise of value to their next employer. Incorporate the right key words, relevant to each clients’ target job, but still craft resumes that are an interesting read. Showcase the critical information hiring decision makers want to see and align everything in the resume around the requirements for each client’s target job(s). Create digital and paper documents that “sit” perfectly on the page, immediately capture attention, best position clients’ “selling” points, look appealing, and reflect the right brand image for each client. Try not to make cost your major deciding factor. Understandably, cost may be a major consideration when choosing an executive resume writer, but if that’s your first and only concern, you’re only thinking about the paper or digital document you’ll walk away with. You’re neglecting to assess all the critical factors that go into crafting a winning executive resume, and overlooking all the benefits beyond the actual resume. Working one-on-one with an experienced professional who understands today’s executive job search landscape, helps set you up to succeed in your job search, by preparing you to communicate your unique value when you network and interview. Many of us have been career professionals for many years . . . I recently passed the 25-year mark. 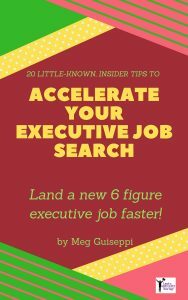 We’ve amassed a wealth of knowledge to help our clients demystify today’s executive job search experience. We’ve extended the kinds of services we offer to include online identity building, online job search, social media/social networking, and other strategies to help clients stand out from their competition. And we know what hiring decision makers want to see in resumes, social networking and online presence. The best executive resume writers are also really good at confidence-boosting. Executive job search is one life’s daunting challenges. Many job seekers go into it doubting their credentials and the value they offer. They need a cheerleader. We help our clients uncover and focus on what differentiates them from their competition and what makes them valuable in the job market. Given the fact that many clients who come to us have just been laid off or have been floundering in job search for some time, having someone to champion them through is a powerful bonus. Deciding on which resume writer to work with requires the same thought as making any major financial decision. Along with asking friends and colleagues to recommend a writer/strategist, you need to do research and weigh all the issues and finer points. It’s all about knowing just what you’re getting for your investment. Is Your Online Presence Strong Enough to Compete in Executive Job Search?